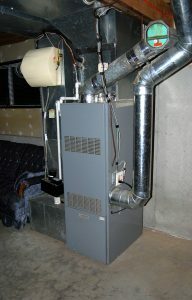 A residential oil furnace – forced hot air with central air conditioning and an in-line humidifier as well. stops functioning properly, you’ll want an experienced professional’s help to make sure the problem doesn’t quickly get worse. That’s where Neal’s Heating & Air Conditioning comes in. As an established HVAC company in Fort Oglethorpe, Ringgold and LaFayette GA, we have the tools and skills to provide you with accurate, cost-effective furnace repair service. At Neal’s Heating & Air Conditioning, we constantly aim to provide the highest level of quality in the furnace repair work we do. When you hire us, you’ll benefit from our knowledgeable, courteous HVAC professionals and affordable pricing. And no matter how extensive your furnace repair job happens to be, we pledge to complete it on time so that you can get back to your regular routine. Need a heating solution for your home? Is your current furnace in total disrepair? At Neal’s Heating & Air Conditioning in Fort Oglethorpe, Ringgold and LaFayette GA, our team provides the highest level of quality in furnace installations and replacements. When you hire us, you can rest assured that all jobs are performed by knowledgeable technicians. Our experienced staff is dedicated to serving your needs, and we’re ready to put our knowledge to work for you. No matter the size of your space, Neal’s Heating & Air Conditioning has a furnace installation option suited for you. We offer a variety of makes and models, and no matter the scope of your project, we pledge to complete our work on time and within budget. It’s all part of our pledge to serve our customers well and earn their trust. If you’re in need of furnace installation, Neal’s Heating & Air Conditioning is the team to trust. Call today for more information or to schedule an estimate.